CAPE CANAVERAL, Florida - 33-year-old Ronald Lutrario died after a motorcycle he was riding collided with a Brevard County Sheriff's patrol car on East Central Boulevard in Cape Canaveral, Florida on Tuesday. 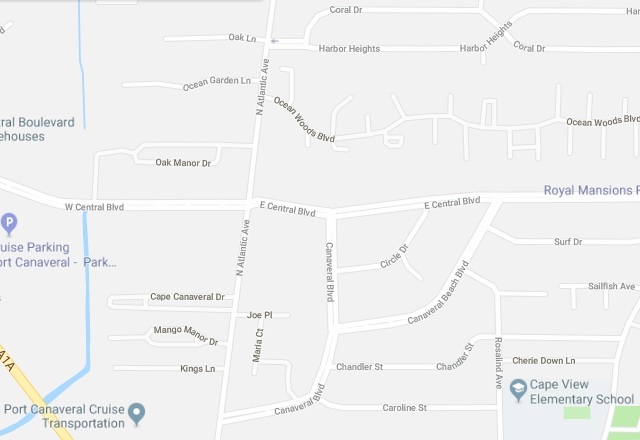 The Cocoa Beach man was riding a 2017 Honda motorcycle eastbound on East Central Boulevard near the intersection with Circle Drive just before 2 p.m. on December 19, 2017. Meanwhile, Brevard County Sheriff's Deputy Carmine Siniscal was driving a marked Brevard County Sheriff's 2010 Dodge Charger patrol car westbound on East Central Boulevard. According to the Florida Highway Patrol's preliminary investigation, Lutrario was riding above the posted speed limit. Siniscal attempted to make a left-hand turn to travel northbound on Circle Drive. In so doing, the patrol car traveled into the direct path of the motorcycle. The front of the motorcycle then struck the right side of the patrol car. Lutrario died while Brevard County Fire rescue attempted to save him He was then transported to Cape Canaveral Hospital in Cocoa Beach. Lutrario was wearing a helmet at the time of the crash. A toxicology report is pending to determine whether he was under the influence. FHP determined that Siniscal was not under the influence of alcohol and was wearing his seat belt at the time of the crash.